We are often asked what should go on a retail audit checklist. Sometimes this question comes from a retailer starting their retail audit program from scratch. Other times, it comes from a retailer with an existing program, looking to curate or improve their current checklist or automate the process. Regardless of the circumstances, we have prepared a list of best-practices, intentionally high-level, to help retailers with this task. What is a retail audit checklist? 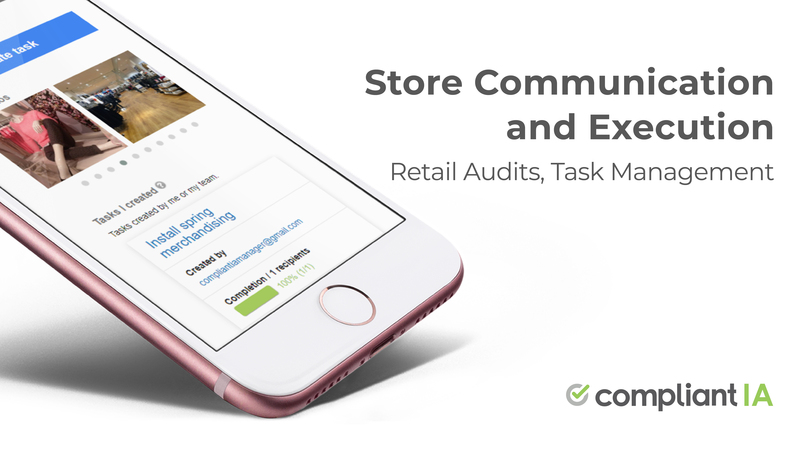 A retail audit is a smart checklist. It is based on a form, has points, best-practice pictures, supporting files, conditional items, critical items and action plan recommendations. 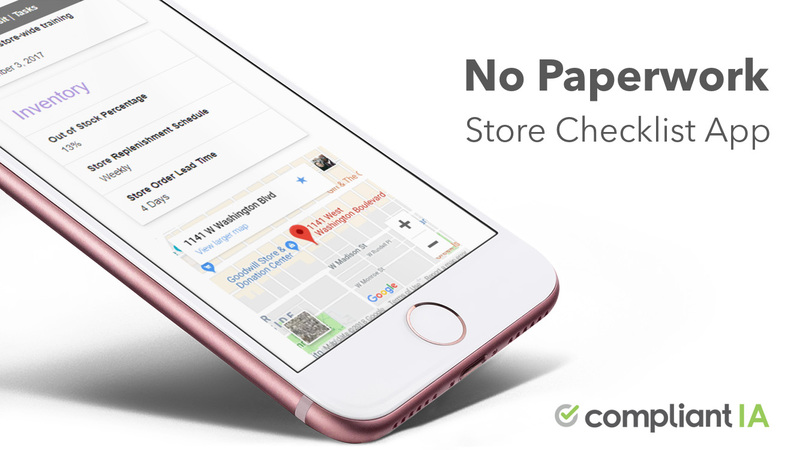 It allows standards to be checked, deficiencies tracked, assigned and resolved when district or sales managers visit stores. An audit allows head office to guarantee company standards, programs and policies are deployed in full, in time, in every store. Metadata is largely automated / pre-populated with retail audit software. The user information is derived from the login, the store pick-list is built specifically for each user and based on the user’s current GPS location and the date is selected using a popup calendar. Group items into sections. Sort sections according to the visit’s “natural flow”. Whenever possible, sections should be laid out to match the natural flow of a visit (a district manager physically walking the store). Start with the exterior (the parking lot if applicable, the window in a mall location) and work your way in, around the aisles and into the back of the store. While you can jump around between sections during or after the visit, setting up the form according to the natural flow of a visit saves time and is more intuitive. Certain sections or items may not be applicable to all locations. For example, the “Washrooms” section is probably not applicable to a store located in a shopping center. Likewise, the “Drive-thru” section won’t be applicable to a restaurant that does not have one. Retail audit software allows you to disable entire sections and items at certain stores according to the store type. Doing this saves time and again, is more intuitive. Instead of creating a small number of large sections, consider creating a larger number of small sections. This helps with data-entry on smartphones and also renders the reporting more granular and meaningful. Assign points according to the relative importance of each criterion. While it is easy to think of everything as important (and if a criterion is not important, it should not be on the form), some items are often more important than others, even critical to the continued success of the business. Health and safety issues come to mind. Assign points and make use of the “Critical” flag accordingly. A critical item sets the value of the entire section to zero, regardless of other items, if found non-compliant during the visit. Standards should be clear and unequivocal. Don’t use vague words like “recent” or “good”. For example instead of saying, “Recent staff meeting held”, consider using, “Staff meeting held less than 5 calendar days ago”. If referring to temperatures or lapsed times, give actual numbers. Clearly spell out what the standard is. If it takes one paragraph to define the standard, use one paragraph. If you have one, attach a best practice photo to an item to illustrate the standard; a picture is often worth 1,000 words and more likely to make an impression than words alone. Retail audit software often allows you to attach pictures and supporting documents to any form item and section as well as tasks. The frequency of district manager visits (at least visits involving the retail audit checklist) can vary greatly from one organization to the next. On one end of the spectrum, some organizations (including some big names in the food service business) tend to conduct as many as one visit every other week. Other organizations may only conduct one visit per quarter. Some organizations use a hybrid model. They use a standard form to capture their core standards (say twice a year) and create a number of smaller forms for visits throughout the year, sometimes tying these visits to seasonal programs. Retail audit software allows an organization to create any number of forms, each with its own start and end date. Retail audit software also supports self-audits which can be used as a stop-gap measure until a district manager visit can be performed. Discuss the form with your district managers, franchisees and managers. Solicit their input and feedback. We call this phase “calibration“. A retail checklist is as much an audit tool, as it is a training vehicle. Define the standard, communicate and measure it. You will meet the standard and achieve your goals. Having worked with many large retailers, I can’t agree enough with you on the need to deploy a standard audit system for stores. Think of it as a part of a total quality control program for your business. In practice, the reason such controls are often neglected have to do with the intricacies of implementation. Paper-based tools introduce delays and frictions. So it’s exciting to see that your solution is changing that! I am working with one retailer and I am happy to be working with the world’s biggest. Even a company this big a size takes its own sweet time in accepting and adapting new technology. And it is amazing that even if they know what technology can offer still they can’t get rid of the paper trail they like to have and keep. I believe the main reason for this is fear, fear of new technology. Some times it takes a “leap of faith” for these companies to initiate a change. Some times its the nudge given by a fellow retailer by beating its competition to the punch. I think you’re right, Mandeep. See “Crossing the chasm”. Large retail companies are definitely on the “pragmatist” side of the technology adoption curve. However a lot also has to do with the culture of the leadership. Walmart is famous for embracing technology early on and using that to differentiate themselves from the competition, actually! Interesting thoughts. My former company has been working on an App to do this for almost 18 months now and still have not rolled to out. A change in the COO likely changed what some of the priorities of the App would be. Still you would think there would be a standard list as mentioned in the article to work from and then expand it with the needs that are of local concern to your industry.